Please explain this! 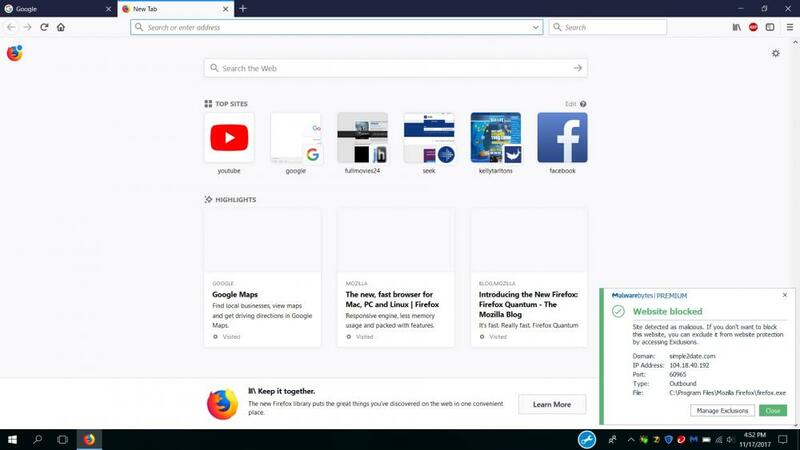 This happens when I open up firefox or check for updates for firefox or even open up a new tab. Welcome to firefox 57. One of those top sites are triggering it. Or an add on. Hi Porthos! I have just now removed the AdBlock Plus add-on. Now it's not appearing anymore. I don't get it I have used this add-on for many years now and now MBAM was triggering this one. What is the best adblock program do you know of. I really need a ad blocker. To block ads and more, I'd recommend uBlock Origin. It goes above and beyond what AdBlock Plus does. I uninstalled the AdBlock Plus and installed uBlock Origin and now everything is working fine.